Happy Positive celtic traditional music, great for a happy time in an old irish country pub. Mid tempo, positive, deep celtic feeling with this accodion and flute dominated track. An airy, accordion and guitar led traditional irish piece. An up tempo jaunty composition full of positive foot tapping feeling. A lovely mid tempo open easy composition, a great backdrop for traditional irish or celtic images. Foot tapping jig sounds to convey a happy contented feeling. A mid tempo positive celtic sound with accordion, flutes and drums. Positive lively celtic feeling is easily conveyed with this delightful track. An atmospheric airy traditional, mid tempo composition for traditional celtic vista´s. A positive up tempo traditional piece that brings visions of collies herding the sheep around the deep green pastures. An emotive, mid tempo, accodion led composition suitable for the village fair, or horse shows. A flowing, jaunty, up tempo traditional celtic piece. Full of happiness and good feeling. Nice, happy , flowing, pop type celtic song, full of nonchalance and lazy, good summer attitude. Up tempo, jaunty composition, for twirling around the village fair. Happy, easy, celtic, country pop music. Up tempo, positive, traditional irish folkmusic that would be perfect for flying over the beautiful green wild countryside of ireland. A flowing, mid tempo, traditional, accordion and guitar composition. A happy, cheeky, humourous, light feeling is conveyed by this mid tempo traditional piece. Good, positive, uplifting attitude is presented with this strong mid tempo traditional composition. An easy flowing, positive, yet slightly melancholic piece. An up tempo, flowing celtic country track with a positive, busy feeling. Slightly melancholic, emotive traditional celtic track with flowing accordion and guitar. Up tempo, irish track as a great background for a multitude of positive active images. Mid tempo, slightly melancholic, yet positive, flowing, celtic composition. A simple, irish pop style, traditional piece. 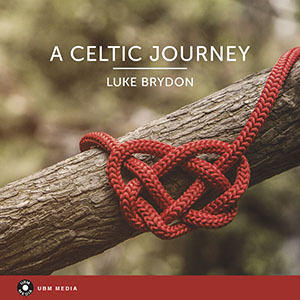 Mid tempo, uplifting melodies in this jaunty traditional celtic piece. A rolling, good positive traditional track for rolling irish country images. Up tempo, rolling accordian dominates this happy go lucky composition. A nice, lazy, positive, easy attitude comes forth in this traditional celtic piece. Happy, positive, up tempo irish jig arrangement, great with a guiness. A steady, rolling up tempo celtic track. A happy, jaunty, positive, mid tempo traditional irish piece, start the day with a good feeling. Positive, summer sounds with a traditional celtic band.